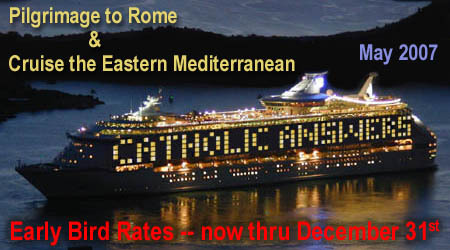 Janet and I will be guides and speakers on the Catholic Answers Rome and Mediterranean Cruise. Prices go up after January 1 so if you plan to go it would be wish to sign up soon. Visit www.CatholicAnswersCruise.com or click on the picture.